QUẢNG BÌNH — British divers who were involved in a dramatic rescue mission in Thailand last year to save a young football team who became trapped in a cave are preparing to set foot in the world’s biggest cave Sơn Đoòng in the central province of Quảng Bình. Nguyễn Châu Á, the organiser, said the mission would start next month in an attempt to find out whether an underwater passage links Sơn Đoòng with Thung Cave. Á said if they were right, it would mean Sơn Đoòng was even larger than previously thought because the two caves would be classed as one. 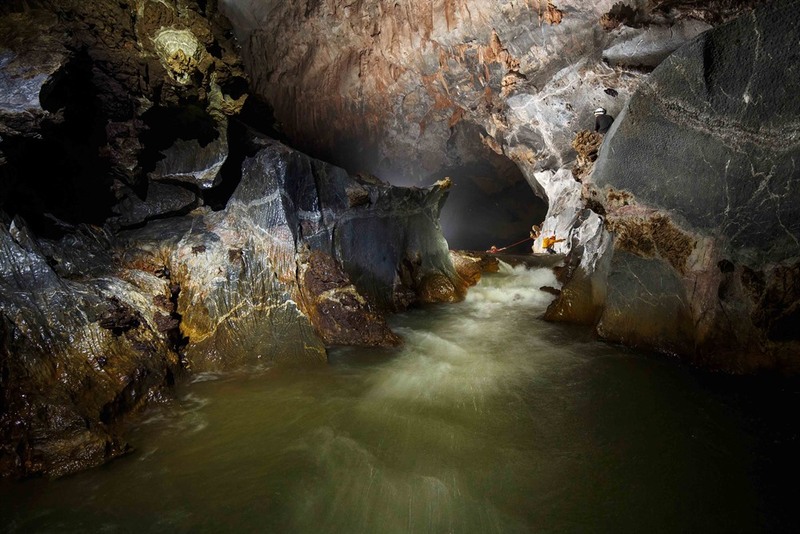 Limbert, who is a member of the British Cave Research Association, said he and his team had suspected the existence of the passage during a survey of Sơn Đoòng in 2010 as the end of an underground river went in a straight line from the end of Thung Cave. Thung Cave is about 600m from Sơn Đoòng. Water levels in the passage are about 40m deep. Thung Cave was first explored in 1994 and has a large river running through it, just like Sơn Đoòng. Oxalis sponsored a total of US$53,000 for the mission and is working with the Phong Nha-Kẻ Bàng National Park as the organiser.